Bagpiping is not like playing any ordinary musical instrument. 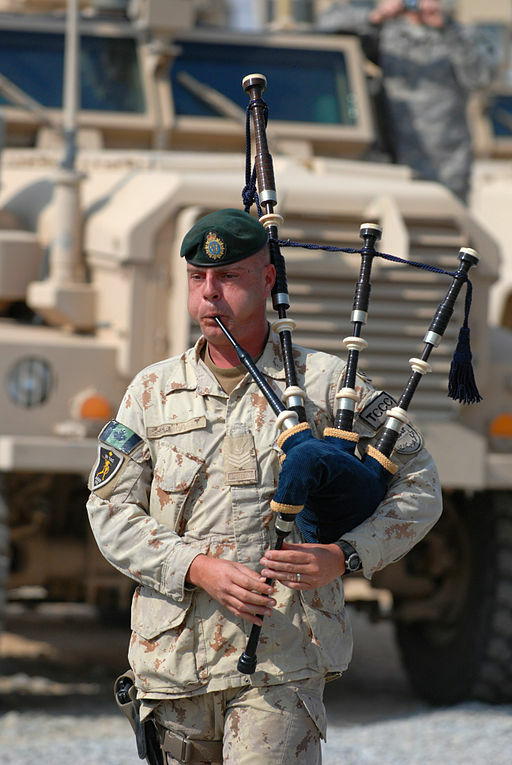 The traditional Scottish pipes come with a tradition that makes those who play them part of their history. Such is the case for Marblehead resident Julie Hahnke. She thinks of herself not just a musician, but as an historian too. She always plays wearing the full traditional clothing and accessories. In her case that includes a Glengarry cap decorated with the badge of a Canadian regiment which was awarded battle honors for their contribution during World War I. She also wears a kilt resembling traditional kilts in coloring and pattern. Julie dons a fur sporran which looks a bit like a purse, an Argyle jacket, garters, and traditional Scottish mud-proof shoes called ghillie brogues. Hahnke was born in Pennsylvania and attended Dartmouth College. She found her way to Massachusetts, living in Swampscott for a time, and now in Marblehead. She is a dedicated sailor, and her introduction to the bagpipes came while she was judging a sailing race in Halifax, Nova Scotia. “I heard so much piping during that time — there is an eerie sound to the music,” she said. There is a saying that goes: “Seven years it takes a piper to make.” But in Julie’s case, two years of intense practice was all that was needed. She began her bagpipes journey in 2001 and now she plays at a wide range of occasions and events. She can be found piping at weddings, funerals or educational activities. This month she has a gig playing in the streets of Marblehead as part of a Veterans Middle School history walk. Some of her performances can be quite emotional for her. She explained that she feels honored to be able to perform at a funeral and she often finds herself keeping her feelings in check, especially when she plays at military funerals. “I can’t cry and play at the same time,” she said.